Often I’m confronted with problems of mail submissions in freshly migrated Exchange environments. In migrated environments it could happen, that the old ExchangeLegacyDN is missing and users can’t answer on old mails. This might happen, when you migrate users between Exchange organizations. 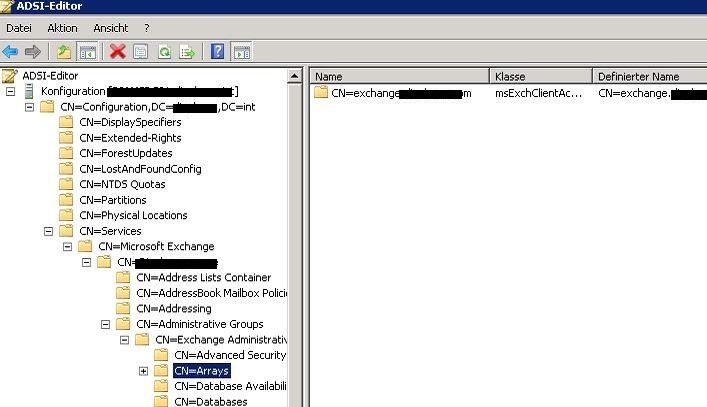 To mitigate this issue, you can add the old ExchangeLegacyDN as X500 proxy address. This fixes the issue and the user’s mailbox is addressable via the old LegacyDN. You can do this by hand, by ADModify.NET or simple use PowerShell to fix this. Thanks to Frank for this helpful PowerShell cmdlet.